High blood pressure is a serious condition, which, left untreated, can ultimately lead to other health conditions, including heart failure, stroke and kidney failure. As your heart pumps blood through your body, blood pushes against your arteries’ walls, creating a force known as blood pressure. Blood pressure measurements include both systolic and diastolic pressures. Systolic pressure measures your blood pressure when your heart is beating and pumping blood. Diastolic pressure measures blood pressure while your heart is at rest, between beats. Systolic pressure is measured or read first, followed by the diastolic reading. For example, in a blood pressure reading of 120/80, the systolic pressure is 120 and the diastolic pressure is 80. A systolic reading between 120 and 139 or a diastolic reading between 80 and 89 is considered prehypertension. Prehypertension can lead to high blood pressure if left untreated. High blood pressure is a serious condition affecting one in three adults in the United States. If left untreated, it can ultimately lead to other health conditions, including heart failure, stroke and kidney failure. Blood pressure numbers fluctuate depending on your level of activity. It is normal for your blood pressure to rise when you wake up from sleeping, or when you’re active, excited or nervous. However, if your blood pressure readings are consistently high, more serious health issues can occur. Work with your doctor to establish healthy lifestyle changes and to discuss medications that can help control blood pressure. Blood pressure often rises as you age. Certain medical conditions can also increase blood pressure, including chronic kidney disease, thyroid disease and sleep apnea. Some medications, such as corticosteroids, asthma medicines and hormone therapy, can contribute to high blood pressure. Because there are usually no symptoms of high blood pressure, it can go undetected for years. You may experience headaches, although these are uncommon. In order to prevent long-term damage to your blood vessels, heart and other important organs, work with your doctor to lower your blood pressure or prevent high blood pressure. Knowing your baseline blood pressure numbers can help your doctor to maintain these levels, or lower your blood pressure as needed. Cardiologists at Ohio State’s Heart and Vascular Center are experts in the management of high blood pressure. If you have high blood pressure, your cardiologist will guide you through lifestyle changes such as diet and exercise that can help you lower your blood pressure. Your cardiologist may also prescribe daily medication and perform routine blood pressure checks. 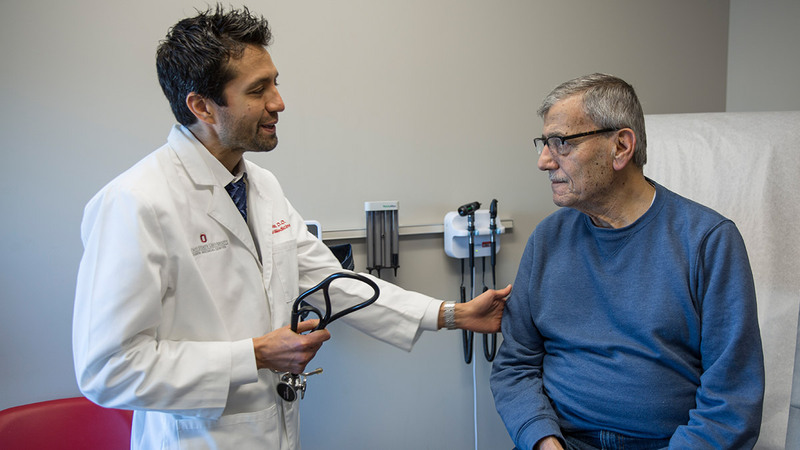 Should you need further care, an entire network of heart and vascular specialists are available at Ohio State to treat any condition. Other tools are offered at Ohio State that can help you manage your blood pressure. Maintaining a healthy weight, exercising regularly and not smoking are some primary ways to lower your blood pressure. Ohio State's Ross Heart Hospital Smoking Cessation Clinic is located on the first floor of the Ross Heart Hospital. 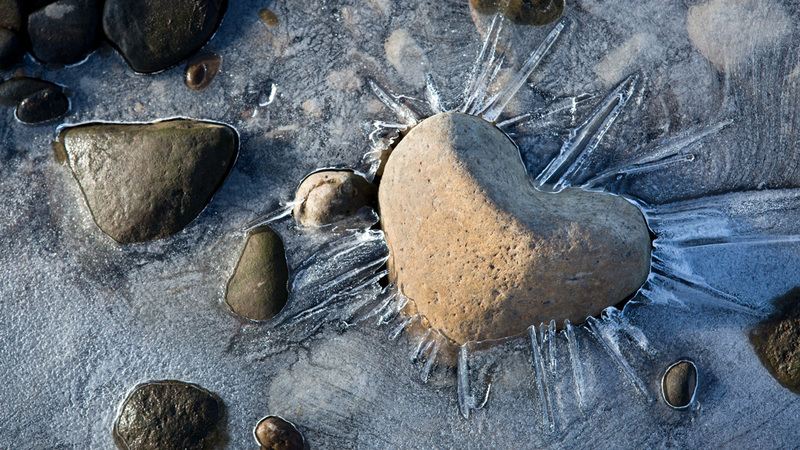 To schedule a patient for an appointment, call our Heart Schedulers at 614-293-ROSS (7677). Or for more information, contact 614-293-0932. Blood pressure tests are used to diagnose high blood pressure. 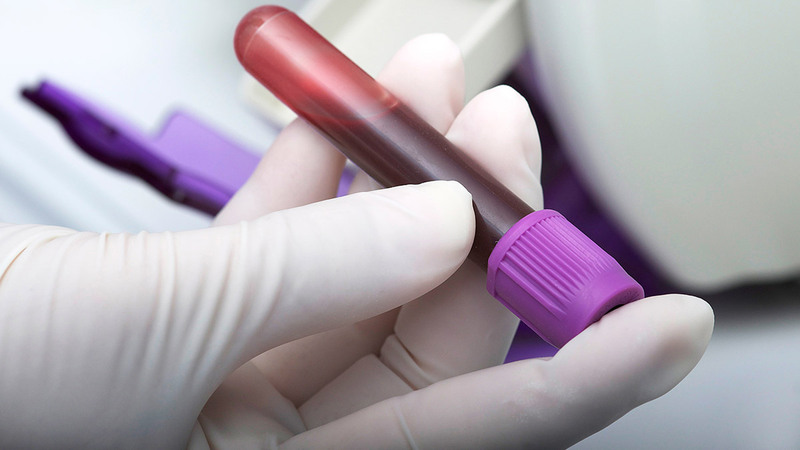 Often, doctors perform several tests to confirm the results. This easy and painless test is done in a clinic or physician’s office. To measure blood pressure, a blood pressure cuff is placed on your arm and used in combination with a gauge and stethoscope. High blood pressure is diagnosed when your numbers are 140/90 mmHg or higher. In a person with chronic kidney disease or diabetes, blood pressure over 130/80 mmHg is considered high. Most people with high blood pressure continue treatments throughout their lives. Usually, a combination of medication and lifestyle changes are used to treat high blood pressure. Blood pressure medicines work by removing extra salt and fluid from your body, slowing your heartbeat or widening blood your vessels. Regular physical activity helps lower high blood pressure. Make sure to talk with your doctor to discuss how often and rigorous your exercise should be. A healthy diet that is high in vegetables, fruits and whole grains can help lower your blood pressure. Reduce the amount of salt that you eat by limiting your intake to no more than one teaspoon per day. Reduce alcoholic beverages, as alcohol also contributes to high blood pressure.